It all began on our family’s faithful Underwood typewriter. For as long as I can remember, I was smitten by writing. I spent hours of my childhood banging out stories on this trusty typewriter. When I was in third grade, my teacher invited me to read one of my stories to the class. I can’t remember how well it was received, but in those days, I really didn’t care. For those of you too young (sigh!) 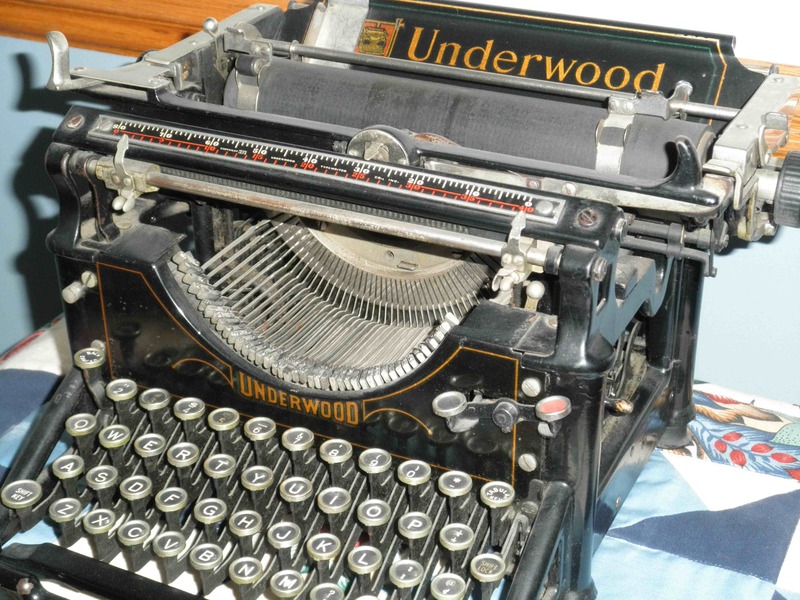 to remember the trusty Underwood typewriter, think of it as a Model T laptop. The order of the keys is pretty similar to a computer keyboard but to make the thing work, you had to crank a piece of paper into a roller, hope that the ribbon had enough ink on it to make an impression on the paper and hammer away on the keys. When you reached the end of the line, a push on a silver lever sent the roller and paper flying back into position so you could continue. When you made a typo, you had a few options — tear out the paper, crumple it up and start all over again; XXXXX out the error; or try to erase it. By the time I was in fifth grade, I knew that I wanted to be a writer. I wasn’t quite sure what that meant, but the glamour of being an author beckoned. A stint on my high school paper had me hooked and by the time I graduated from The George Washington University with a degree in journalism and political science, I knew that there was no other life for me. I have been writing since. After working in the corporate world in public relations and advertising for a few years, I launched my own business back in 1979. I was fortunate to land a job with Stanley Home Products writing a corporate history book for the company’s fiftieth anniversary. By that time, I had graduated to a portable electric typewriter. “Cut and paste” referred to using scissors to cut out sections of the draft and using tape to put the pieces back together again. Can’t say I miss that. I loved the life of a freelance writer, interviewing interesting people, famous and not so famous, delving into a variety of topics and all the while playing with words to earn a living. In the late 1990s, I decided to focus my work on marketing communications for small businesses and nonprofit organizations. Today, as president of Joan B. Marcus Communications, I help small businesses and nonprofit organizations build their brand through the power of words. Writing is still at the core of what I do, crafting memorable marketing messages, web content, social media content, email marketing campaigns and print pieces. On the nonprofit side, I also do grant writing. There probably is no bigger thrill than to know that I helped a deserving organization obtain much needed funding to launch or keep a program going. A lot has changed since I first started writing on that trusty Underwood typewriter but many things have not. While websites, blogs and social media might have sounded like science fiction when I launched my career, good writing is as important today as it was back then. In Words That Work, I will share what I have learned (and continue to learn) about good writing and its importance to successful solo entrepreneurs, small businesses and nonprofit organizations. Feel free to share your thoughts and comments. If there is a topic you would like me to discuss, please leave a comment. Thanks for reading!